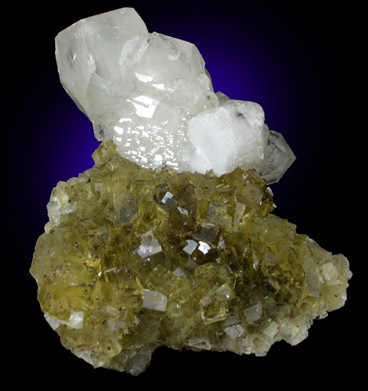 Description: Plate of lustrous, transparent, yellow fluorite crystals up to 5 mm with overgrowth of colorless calcite crystals up to 10 mm. 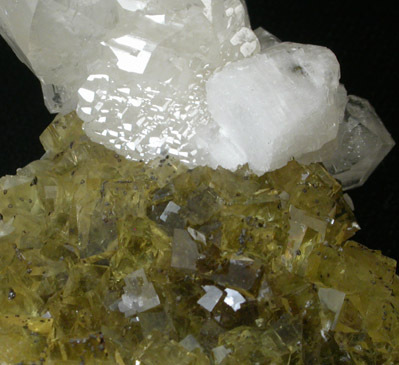 The calcite shows internal phantom growth patterns. 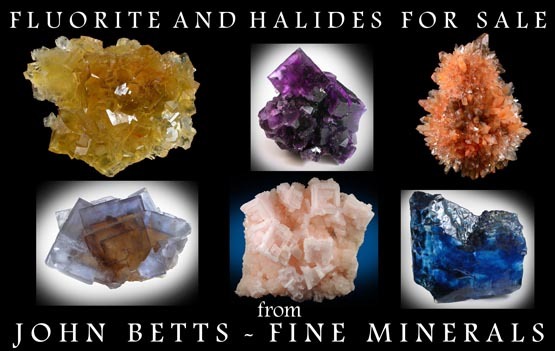 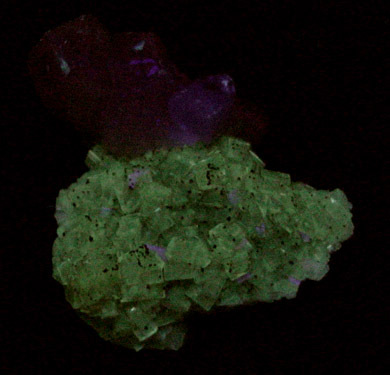 The fluorite fluoresces yellow under illumination.